Co-working spaces are a nice alternative to the practice of working at home or in a traditional office. They are becoming increasingly popular across industry sectors and among real estate professionals and companies. The surge in this sector does raise some eyebrows, though. It is still unclear whether this explosive trend poses a revolutionary threat to the established real estate order or a natural trajectory of its development and growth. One thing is for certain: co-working spaces are making a big splash in the business and real estate world. They have a profound impact on strategies that tenants, landlords, building owners, and brokers use. By 2020, we can expect to have 26,000 co-working spaces throughout the country. These offices will be home to 3.6 million members. If compare these figures with the last year, we discover that the compounded annual growth rate is whooping 23.8%. The rise of co-working spaces fosters a booming ecosystem around it. For example, there is a growing interest in flexible furniture solutions and open concept design. Industry leaders are ahead of the curve and have already assumed the role of co-working space promoters. Others are also realizing that shared spaces have taken the office sector by storm and are here to stay. The co-working model revolves around rental offices and desk spaces that are available flexible, community-like environments. Namely, co-working spaces often involve open plan environment with flexible seating and standing areas. They resemble groundbreaking offices of corporate giants like Google and well-designed spaces you can stumble upon on digital communities such as Muse. In these shared spaces, a lively interaction between a wide array of tenants takes place. Remote and home-based employees have a chance to immerse in a dynamic environment and escape household distractions. Startups are in a position to cut the operating costs and connect with other similar organizations. Growing firms can utilize these offices as a temporary solution until they can afford their own premises. One of the great benefits for tenants is the possibility to find an affordable shared office near public transit, in hot downtown areas that would be otherwise outside the most startups’ league. Indeed, some building owners and landlords strive to incorporate co-working layout and amenities into class A and class B buildings: They recognize that this strategy can lead to higher occupancy rates and richer cash flow. A co-working space offers unparalleled networking opportunities for creative individuals, freelancers, and entrepreneurs. What is more, startups with complementary services may occupy the same office and spur fruitful collaboration nice and easy. Besides, there are rent conference rooms, receptions, chill out areas, cafes, lockable filing cabinets, fast internet access, free coffee, mail service, Skype room, even swimming pools and other amazing amenities. 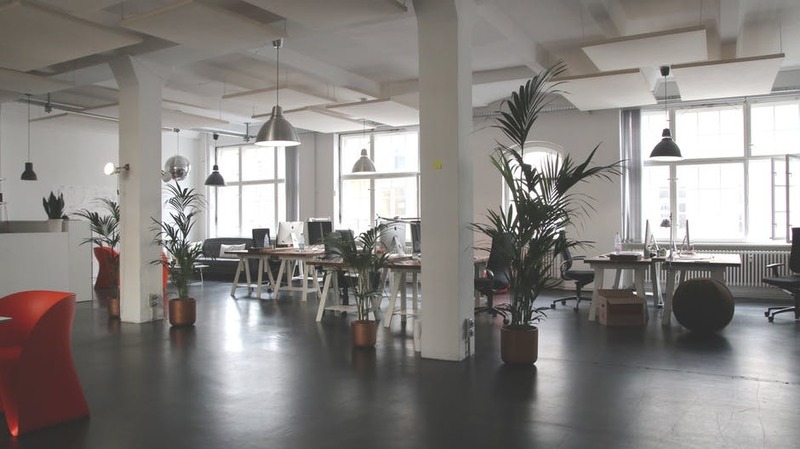 With such a swell workspace, small businesses and startups are able to attract affiliates, clients, and partners. On the other hand, one of the main concerns regarding these innovative spaces is privacy. Some people find it hard to work in an environment where others constantly mingle and buzz around. Then again, one can find a space that also includes closed-door offices and work in peace and quiet if need be. In a sense, the (r) evolution of shared offices is aligned with the way our work habits and patterns shift. Those who are blind to these trends may see co-working spaces as a disruptive influence, but forward thinking individuals and companies know better. A rental, co-working space is a brand new way of surviving and thriving in a world that changes at a breakneck speed. Co-working spaces are the self-fulfilling prophecy of real estate and business sector’s future unfolded. Their receptivity and effectiveness are on the roll, and they are soon expected to become a norm. From the businessman’s standpoint, shared offices are a welcome addition to the present assortment of possibilities. Landlords can develop loyal community and obtain more revenues, tenants enjoy a slew of amenities and opportunities, and commercial real estate sector grows. If business flexibility is the name of the game, then it is best played in a co-working arena.